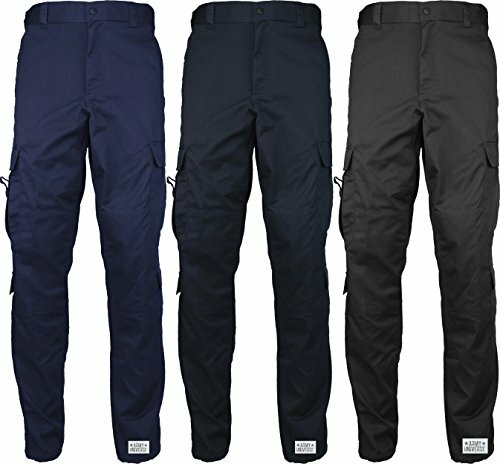 Operator Pants by LA Police Gear have taken the market by storm! Over 200,000 customers can't be wrong! Give a pair a try. Customer Review - "The best pants I own and they cost me less than any other brand! I bought 3 more pairs after I wore my first ones around for a week. Thanks LA Police Gear!" More bang for your buck! That's what you get with the Operator Tactical Pants by LA Police Gear, Inc. More comfort, more pockets, more maneuverability, and more for your money. With over 20 years experience in law enforcement and the military, LA Police Gear knows what you need. After countless hours at the drawing board, customer surveys, endless piles of samples, and tons of revisions LAPG is proud to present The Operator Tactical Pants. These pants are LOADED with features. 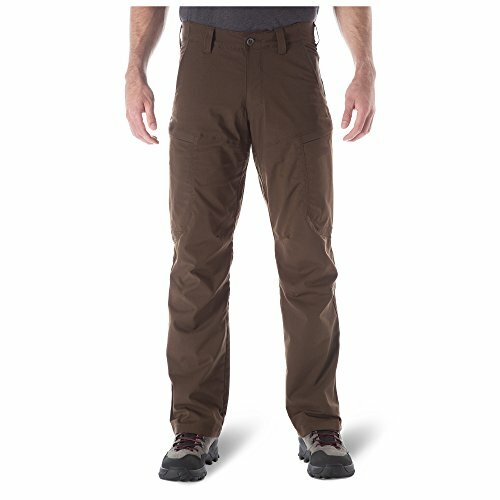 Similar pants by big name companies cost twice as much and do not have as many features as our Operator Tactical Pants. How can we sell these pants at such a low price?? Simple - we cut out the big name middle man and went factory-direct. And in typical LAPG fashion we are passing the savings on to you. The LA Police Gear Core Cargo Pant gives you all the basics you need, and none of the frills and gimmicks that you don't. 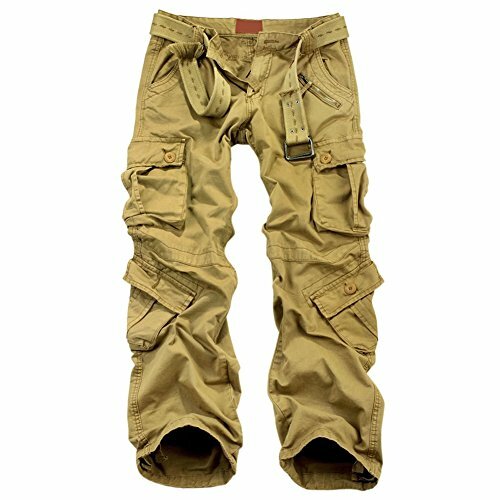 We are talking classic, functional cargo pants that are simple, tough, and comfortable. This all-purpose pant can really do it all, and because we trimmed out the supertacticalhighspeed features that (let's be honest) only 5% of us use, the price has reached a new low for LAPG pants. That being said, that doesn't mean these pants don't have the tough features you need. The Core Cargo Pant still has a metal YKK zipper, elastic waistband for comfort and CCW, angled front pockets for clipping a knife, light, or pen, articulating knees for flexibility, and of course two big cargo pockets that close with hook & loop. The 55% Cotton/45% Polyester Rip-Stop fabric is both tough and comfortable. These pants have an athletic fit that will be roomy while not looking like parachute pants. At this price, why not try a pair out? 30: Waist 31"/Hip 39"/Length 38.5" / Thigh 24.5"
32: Waist 33"/Hip 41"/Length 39.5" / Thigh 25"
34: Waist 34.6"/Hip 42.5"/Length 40" / Thigh 25.5"
36:Waist 36"/Hip 45.5"/Length 41" / Thigh 26.5"
38: Waist 38.5"/Hip 47"/Length 42" / Thigh 27.5"
40: Waist 39.3"/Hip 48.8"/Length 45" / Thigh 28.3"
42: Waist 42"/Hip 52"/Length 45" / Thigh 30"
1. Lightweight, stretchable and durable tactical pants. 2.75" width belt loops allow wide belts and wrinkle-resistant. 2. 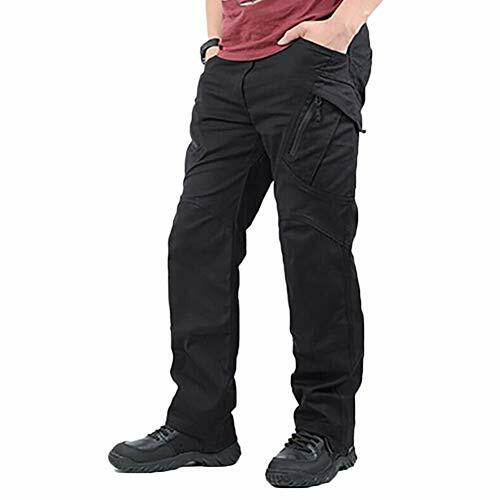 Comfort-Fit Elastic Waist - These ripstop cargo pants boast a expandable waist perfect for quick response, conceal pistols and comfort wear. 4. 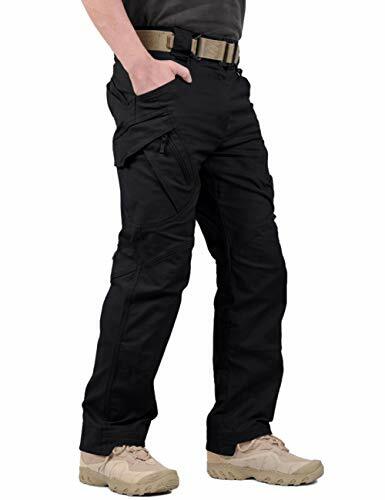 Ease Of Movement-Gusseted crotch provide plenty of comfort and room.Inserted bottom tie and internal knee pad pockets is prepared for functional demands in a harsh environment like wading,jungle hiking. 1. Lightweight, stretchable and durable tactical pants. 2.75,Please read the size chart carefully before purchasing. It is recommended to purchase a larger size. 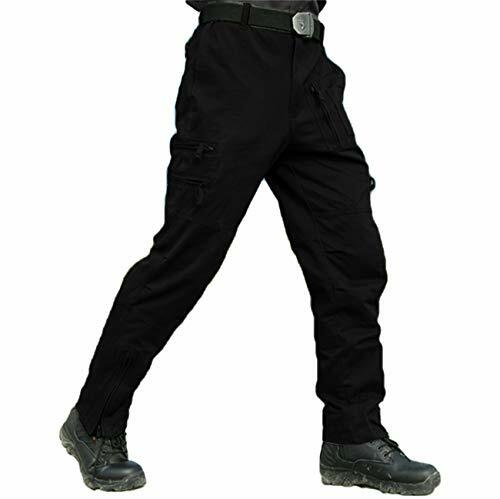 Classic Uniform 9 Pocket Cargo Pants, Poly Cotton Work Pants for EMT EMS Police Security with Official Pin - Anyone looking for the perfect work pants that is tough, durable and comfortable, this will do the job. These trusted and useful pants are exactly what you need on the job. 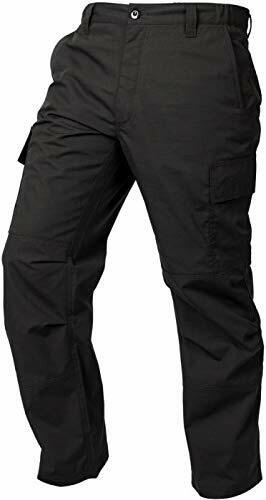 Rely on these work pants which are typically used by EMS, EMT, Security, Police, CCW and are terrific on the job pants for plumbers, electricians, painters, drivers and more! Although these pants don't come with knee pads they are high quality and durable knees that are sure to last. Wear it with your tactical duty belt or work belt. They are not FR rated. You will love these well made pants! Made from a rugged Polyester/Cotton material. Zipper Fly. 9 Total Pockets. 2 Front Slash Pockets, 2 Large Rear Pockets, 2 Cargo Pockets, 2 Lower Cargo Pockets, 1 Outer Pocket on Cargo Pocket. Pants are cut half an inch small (already noted in the drop down, so you do not need to make any calculations). Pants tag will state size is half inch or one inch bigger. If you are tired of pants that you cant rely on and ones that are not cut true to size, these are the pants you need. These pants come with adjustable waist tabs to fit up to 4 inches smaller on the waist. These pants are pre hemmed and ready to wear in short, regular & long length inseam which are either 29 inches, 32 inches or 35 inches long. Follow wash instructions to insure they wont fade. Pants will not shrink when washing. Sizes up to 5XL. Every Pants Comes with an official Army Universe Pin. Pin is removable. PREMIUM PANTS YOU CAN RELY ON - Made from long lasting durable heavy duty poly cotton twill material. 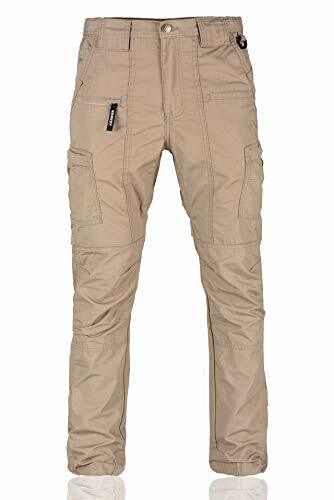 These Uniform Cargo Pants are not meant to be baggy and are cut with a standard comfortable fit straight flat front fit. The EMT Work Pants are considered thick and are not lightweight summer pants. ADJUSTABLE WAIST TABS - These pants have self adjusting waist band tabs that can reduce the pants by 2 inches on each side. Tag will have size range listed ranging 4 inches total. Sizes in drop-down will show sizes that we think will work and fit as listed. DRAWSTRING BOTTOMS can reduce inseam size by up to 3 inches comfortably without having the need to hem the pants if they are too long. CUT TRUE TO SIZE! - Use our size information from our size drop down as a guide. EVERYDAY WORK CARGO PANTS: 9 Total Pockets. 2 Front Slash Pockets, 2 Rear Pockets, 2 Side Cargo Pockets, 2 Lower Cargo Pockets, 1 Outer Pocket on Cargo Pocket. High Quality ZIPPER FLY. Thicker Belt loops that are 2.25 long. Will fit a belt 2 wide or under. Slot Pockets can be used for Scissors, Flashlights, Knife, Stethoscope, Cell Phone, Mini Tablet, Shears other emergency equipment. PERFECT PANTS FOR ANYONE! 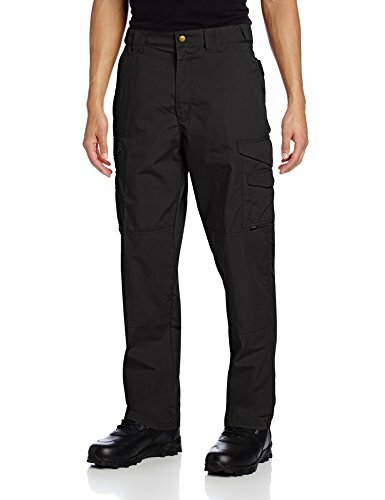 These Uniform pants typically are used by EMS, EMT, Security, Police, PCA, plumbers, electricians, bus drivers, operators, public safety employees or government contractor work and make for a terrific works pants. The color options of these pants also work great for corrections officers, bus drivers & for company workers required to wear black, dark midnight blue or navy blue. These pants are pre hemmed and ready to wear in short, regular & long lengths. QUALITY, COMFORT & MOBILITY - These well made pants look and feel like combat tactical pants yet they offer premium comfort and mobility when wearing them. UNISEX pants that can be worn by women even though they were cut for men. Every pair of pants comes with the official Army Universe Pin. 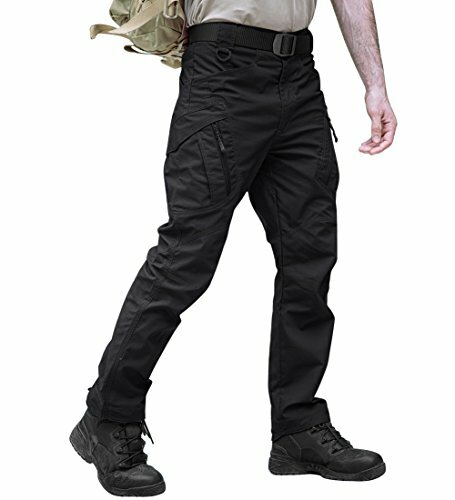 MEN'S 24-7 SERIES TACTICAL PANTS WORK HARD, FEEL COMFORTABLE & LOOK GREAT! The best SLIM FIT, most comfortable tactical pants on the market. The original 24-7 Series Tactical Pant, designed with an engineered dimensional fit that is just right for on-duty or off-duty wear. 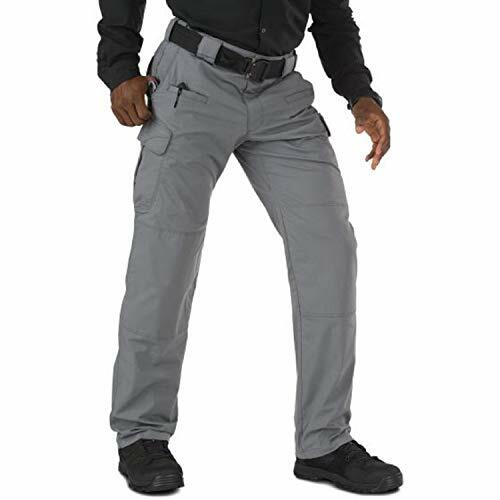 With features like a comfortable slider waistband, deep cargo pockets that are designed to accommodate a concealed weapon and reinforced knees that are designed with special pockets for inserting pads, the pants cannot be beat for utility or comfort.  Tactical Series Military Style Brass Button!  Comfort Fit Slider Waistband Construction Which Eliminates the Need For Gathered Elastic or Adjustable Side Tabs and Will Accommodate Either Paddle Style or Inside-the-Pants Holsters!  Cell Phone/Magazine Pocket On Outside of Cargo Pockets! 磊 2- Cargo Pockets With Hook & Loop Closure and Bellowed Side Gussets That Contain 2- Internal Magazine Compartments! However, due to individual monitor settings, we cannot guarantee that the color you see on your screen is the exact color of the product. 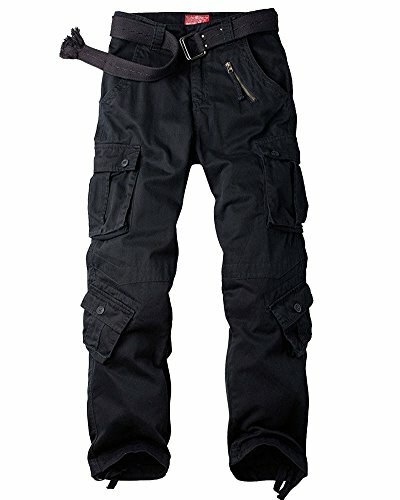 MULTIPLE-POCKETS:Heavy duty work pants with tactical multifunctional pockets design, handy and easily accessible. GUARANTEE:If you have any question,please contact us without hesitation.We will do what we can do to make you have a happy shopping. Waist with adjustable elastic inserts for comfortable fit of pants. Two internal closure pockets on both with zippers.